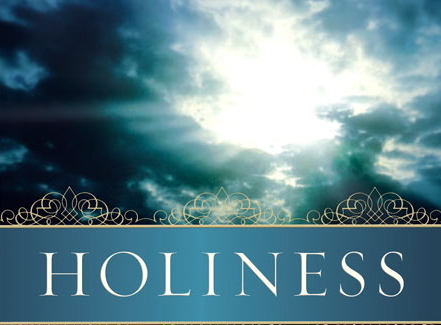 In Part III of our series on holiness, we looked at two steps in how to be holy. These were having a desire to be holy and making holiness a priority. To give an idea on just how important holiness is, I want to focus a moment on the emphasis that God places on it. I believe that then we can get a clear picture of how important it should be to us. More than any other term used to describe God in the Bible, holy tops that list. The Lord God Himself uses it more than any other term to describe Himself. When Moses saw the burning bush, , He was instructed to take off his shoes because he was now standing on holy ground. That’s because God was there. The word holy is used over 600 times in the Bible. When speaking of festivals and special days for the children of Israel, the Lord described them as “holy convocations”. When singing to the Lord after the defeat of the Egyptians, Moses describes how the Lord had led them to His “holy habitation”. When speaking of the sabbath day in the ten commandments, the Lord says, “Remember the sabbath day, to keep it holy.” When describing the kind of people God wanted Israel to be, He said, “And ye shall be unto me a kingdom of priests, and an holy nation. These are the words which thou shalt speak unto the children of Israel.” When speaking of the place where God dwelt in the tabernacle, it was designated as the “most holy place”. When describing the garments that Aaron was to wear as the high priest, they were called “holy garments”. David describes the heaven where God reigns as the “holy heaven”. Psalm 33:21 says, “For our heart shall rejoice in him, because we have trusted in his holy name.” The scriptures are said to be holy in Romans 12:1. We are to “present your bodies a living sacrifice, holy, acceptable unto God, which is your reasonable service.” When referring to the temple of God, Paul speaks in 1 Corinthians 3:17 about it being holy, being our bodies. The hands were are exhorted to lift up to God in worship should be “holy hands”. The calling of the Christian is described as a “holy calling”. When describing the demeanor of a bishop, we should not be greedy for, self-willed, quick-tempered, given to wine, or violent “but hospitable, a lover of what is good, sober-minded, just, holy, self-controlled”, as Titus 3:8 says. I believe we ought to have again the old biblical concept of God which makes God awful and makes men lie face down and cry “Holy, holy, holy, Lord God Almighty.” That would do more for the church than everything or anything else. This is a driving theme throughout the scriptures. It must be a priority in the Christian’s life.